We’re experimenting with the format a bit, so let us know what you think! Do you have any opinions on how the column should be presented? We’d love to hear them in the comments. You only get one first time, and for some people, it comes later than it does for others. This particular column is about documenting the first viewing of a “classic” movie or TV show (determined at the discretion of my writing partner, Aaron Hubbard and I in alternation). Last week, Michael showed Aaron how something ordinary can be beautiful with American Beauty. This week Aaron punches Michael’s eyes shut by taking him out from under the proverbial rock on Rocky. Aaron Hubbard: When a movie is iconic, you recognize parts of it even if you’ve never seen the movie. Rocky is all over pop culture; the theme song, Adrian, Apollo Creed, the training montage. It’s all part of our collective knowledge. So Rocky was always going to be a movie that I meant to watch at some point. But my interest in the movie increased exponentially the first time I saw a trailer for Creed. 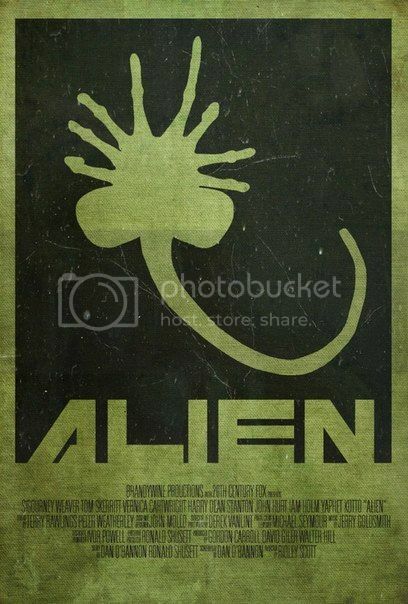 That movie looks awesome, but it felt wrong for me to see it before seeing the original classic. 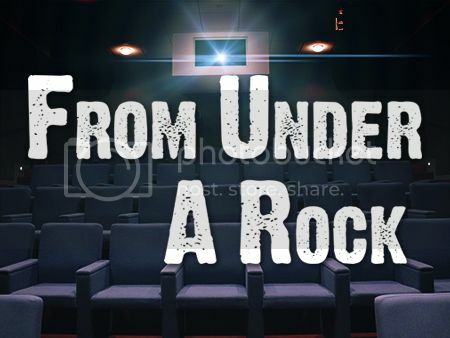 I ended up loving the movie more than I could have expected, and invited Michael to jump in the ring with me as we both tackle a movie that’s new to us. Michael Ornelas: When we started this column, I remember telling you that this is one I hoped you’d end up picking for me (not knowing that you also hadn’t seen it), but I’m glad you liked it enough on your first viewing to pick it for this. Rocky was at the top of my “Classics I’m Embarrassed I Haven’t Seen Yet” list. Now that honor goes to Apocalypse Now. Anyways, Rocky was great and, like it did for you, it exceeded my expectations quite a bit. I expected a stupid testosterone-driven sports movie that is only a classic because that’s what men like. But there was much more than that to the story, and Rocky Balboa was actually a very deep character with more of a gentle persona than a “manly” one. Aaron: The first big shock for me when watching this movie was how little boxing was actually in the movie. 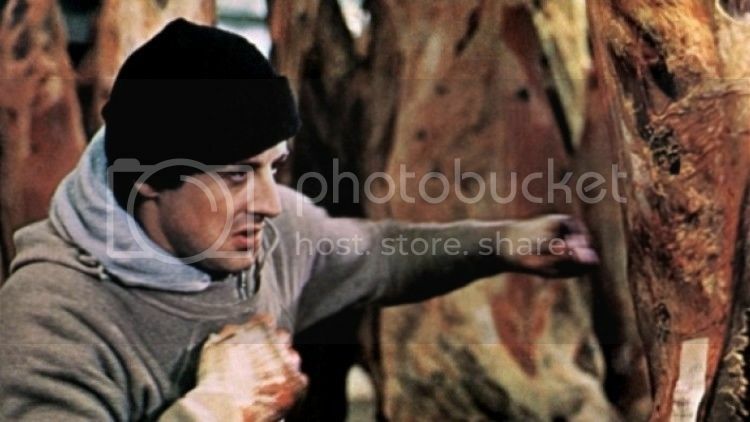 Most of the movie is spent showing Rocky Balboa as this kind-hearted, hard-working but down on his luck guy who’s got almost nothing going for him except for some pet turtles. I was surprised at just how much I connected with the character and wanted him to succeed. Sometimes these stories can be overly sappy or cheesy, but I feel like this one hits all the right notes without going overboard. It’s inspiring but still feels grounded enough that I believed in the plausibility of the story. 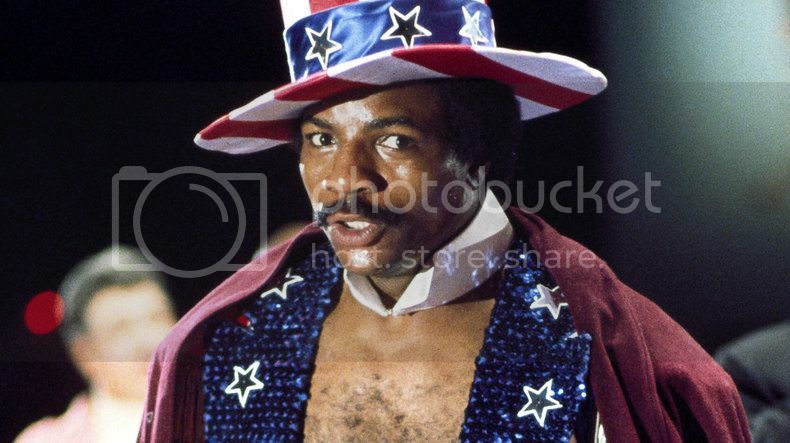 The fact that Rocky didn’t beat Apollo Creed, but rather survived him, is one of the smartest endings for a sports movie I can recall. It’s still a massive accomplishment, but Rocky also isn’t beating the world champion in his first fight with him. Michael: I was almost ready to roll my eyes at the ending because I assumed that he would beat Creed. When I saw that he didn’t, I immediately respected the storytelling of the film. They made Creed keep his credibility while giving Rocky a huge moment that still felt big enough to be the climax of a Hollywood movie. I don’t think a major studio movie would go near that ending nowadays, and that’s a shame because of how effective it was. I feel Rocky was just as much an underdog of a character as Sylvester Stallone was as a writer/actor. I connected with the character because of the transparency Stallone put into the role. I’ve never been one to consider Stallone a great actor (I still don’t, even after this), but his willingness to let his vulnerability shine through makes his time as Rocky Balboa truly special (at least in this first Rocky movie, as that’s all I’ve seen). Aaron: Yeah, I wouldn’t consider Stallone to be a great actor. But Rocky is really an extension of who Sylvester is in real life; he was going through bigger problems waiting for someone to buy the script and give him this part. Rocky was “down on his luck”; Stallone was homeless. Nobody else could be Rocky. Everything in this movie feels earned and that’s a big part of the appeal to me. I feel like sometimes main characters are just “given” things a bit too often these days. Some of that is because I live in an age of superhero movies and fantasy movies where protagonists just acquire special gifts out of the blue. And I do enjoy those movies, don’t get me wrong. But the sense that Rocky works for everything that he accomplishes makes him feel real to me. And I appreciate that. He feels like something I could aspire to be if I really wanted to put my mind to it. Michael: You pointed out to me before I even watched the film how well the score builds throughout the movie, giving the later parts of the movie a much-earned dramatic swell. I’m going to argue that everything in this movie is building to something greater, and that’s the appeal. It’s all forward momentum. My favorite instance is the classic and oft referenced training montage. 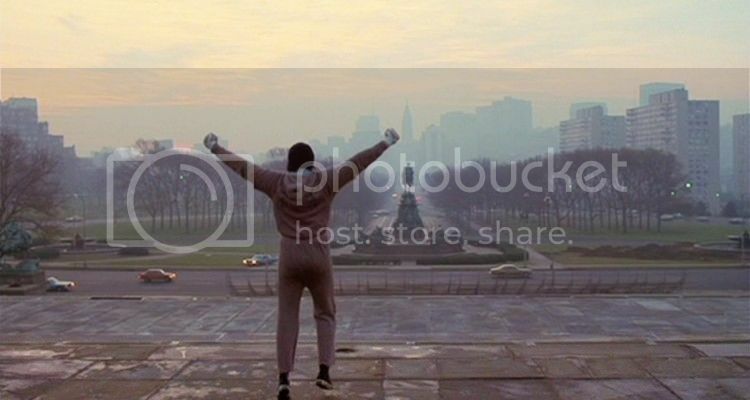 We see Rocky train a few times, and every single time, he gets better, culminating in the final one where he makes it to the top of the steps of the Philadelphia Museum of Art and celebrates once he gets to the top (something he failed to do earlier). It’s one of the more iconic visuals in cinematic history, but the emotion behind it is just as striking as the picture. Aaron: Fun fact; those steps are now called “The Rocky Steps” officially and there’s a huge statue of Rocky Balboa outside the museum. To say Rocky transcends movies is a bit of an understatement. Regarding the build, I think the film is extremely well-paced; I never felt like things were slow. They just start at a logical point and build to satisfying conclusions. And not just with Rocky’s training for his big fight; I think the same principle applies to Rocky’s romance with Adrian. I loved that Adrian isn’t some bombshell of a character because I wouldn’t believe that Rocky could get a date with someone like that at the start of this movie. She’s pretty, but she’s “plain” by Hollywood standards. Again, the movie feels real. And I felt that their relationship helped both of them grow into better people; they make each other stronger. And I love that idea. Michael: And then there’s the personal growth of Adrian’s character. We’re often left with females whose “growth” comes in the form of going from ugly duckling to total knockout. Adrian goes through that personality with her character. She starts off weak, timid, and lacking any real confidence. By the end, she has come out of her shell and is an assertive presence, as evidenced by a great scene where she grows a backbone and lays into Paulie. It’s as satisfying as it is emotional. Aaron: While I was certainly enjoying the movie before Apollo Creed showed up, I would have to say he’s my favorite supporting character. He’s charismatic, funny, and knows how to promote himself. But I especially enjoyed how he wasn’t a villain in any way. He and Rocky are boxing for the sake of competition. Just because they are both fighting each other doesn’t mean there has to be animosity. It was refreshing and it’s easy to believe those two can become friends in sequels. Michael: For sure he was a highlight. It’s such an easy trap for movies to fall into: an opponent of our hero is evil. It was refreshing and was the opposite of what’s popular these days, where every character (good guys included) has a dark side. The only thing I’ll say about Apollo is that his entrance during the fight was over-the-top pompous, but because I already liked the guy, I just viewed him as a big dork instead of a jerk. Aaron: Speaking as a guy who’s usually a huge fan of professional wrestling, I wonder if it had any influence on his entrance. I know he certainly inspired a few wrestlers. Michael: Well, he no longer looks like that. I guess you could say it’s a new day. Aaron: Rocky is a movie I always expected to appreciate, but not one that I expected to love or connect with. But Rocky is a great protagonist, things rarely go right for him, but then he gets the opportunity of a lifetime. It’s extraordinary enough to be like a fairy tale, but grounded enough to feel like a real story. At times it felt like I was watching a biopic of a real person instead of a fictional hero. That’s the highest praise I can give this movie. Michael: This is a great movie. A little slow at the start, and the acting isn’t exactly anything to brag about, but there’s tremendous heart. Balboa was an endearing protagonist and his triumph didn’t end up being what we expected, and I loved that. This deserves its all-time classic status, and I’m glad we checked it out. I may very well watch the rest of the franchise some time soon. Aaron: I definitely will catch a couple of them. But I have heard enough about Rocky IV to be a little wary. Michael: Every franchise is allowed to have a misstep. Jurassic Park III? I rest my case. What is your favorite sports drama? Michael: ALIEN ALIEN ALIEN ALIEN ALIEN!! Aaron: It’s hard not to be super excited about this pick. I’ve been waiting for you to pick it since we started this column, since I know how much you love it. And it is a film I know a good deal about despite never actually sitting down to watch it. Michael: It’s my all-time favorite movie. This will actually be my third or fourth time watching it this year alone. Probably my 11th or 12th overall watch since I didn’t see it for the first time until 2012 (in time for Prometheus). Now that Ridley Scott has announced a new trilogy as a bridge between Prometheus and this movie, I figure it’s a perfect time to pick it. What’s your favorite space survival movie? Rocky is perhaps the definitive sports movie, with a great protagonist, a straightforward story, and an epic conclusion. Despite this, it manages to subvert some of the more melodramatic tropes of the genre and holds up very well over four decades later. With a ton of heart and passion, the film is an inspiration and a classic.